Visit Argentina's vibrant capital for a tango, a great steak, and more. Argentina’s capital is the kind of place that will rekindle your mojo. Famous for its vibrant nightlife, European-style architecture, and passionate tango, Buenos Aires’ bold, sensual nature is never far away. You’ll feel it on the street at any time of day, particularly if you spot a couple dancing the tango or if you learn to dance at one of the city’s many milongas or tango houses. You’ll feel it at night too, as the porteños (the people of the port) are known for enjoying a drink, dinner, and dancing well into the wee hours. Perhaps what makes this buzzing metropolis so memorable, and earned it its nickname as the Paris of the South, is its rich history. 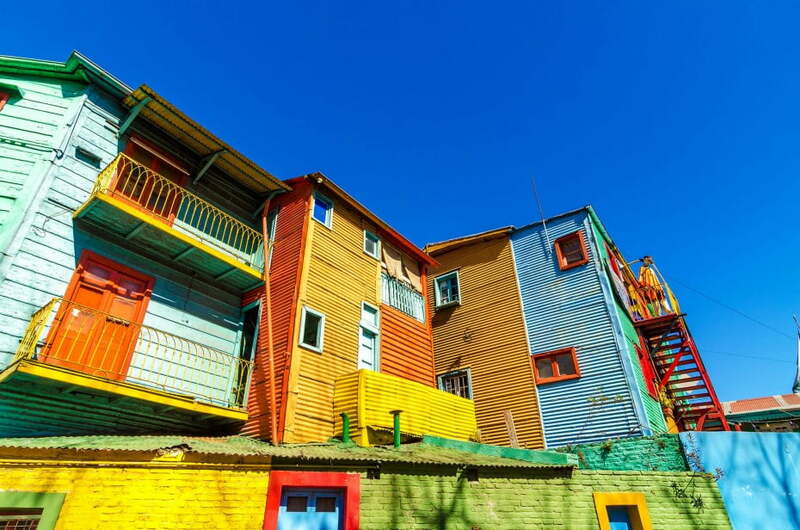 Whether you’re exploring the brightly coloured seaside buildings of Caminito in La Boca, a barrio known for its edgy vibe, wandering the cobblestone streets of San Telmo or Palermo Viejo, two of the city’s oldest and loveliest areas for a day of shopping and lunching, or visiting the extraordinary city at the Recoleta Cemetery, you’ll never be short of picturesque spots for a leisurely stroll. Foodies will also have a ball here, particularly those who love a good steak. Foodies will also have a ball here, particularly those who love a good steak, as Buenos Aires is teeming with parrillas, or steakhouses, where you’ll find your tender piece of beef grilled to perfection. Buenos Aires can be sweltering in the summer but for the most part, enjoys a mild, steady climate. You can always take a dip at the urban Buenos Aires Playa beaches or head out on the waterways of the Tigre Delta to get a taste for the luxurious side of Buenos Aires life.